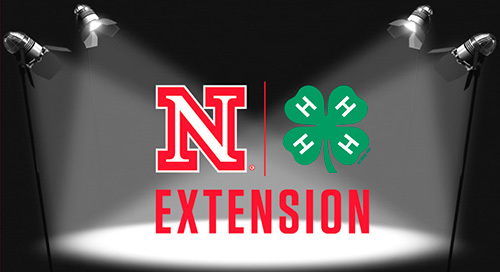 Nebraska's "Spotlight on 4-H" Newsletter is written by extension staff for 4-H volunteers during the months of January through July. It is packed with information and resources to educate, inform and motivate 4-H members and families. Grab & Go: Clover Kid “Crazy About Corn"
Grab & Go: Sit. Stay. Dog Project. Cooking Up Some New Curriculum! Focus on 4-H Food Preservation! Helping Nebraska Students Write Their "Next Chapter"
The World of Clover Kids! UNL - Science With a Purpose in CASNR! S.T.E.A.M. 1-2-3: The New Clothing Curriculum!!! Help! I Can't Do This Alone! Feel the Pull of Stylish Zippers! Get Moving at Your Club Meetings! Popcorn – Let's Get Popping! Can I Still Use MyPyramid? Clothing, Textiles, careers and style! What's In a Name? Know Your Cultivar! A Quick Flash on 4-H Photography Project Changes! Wind Energy is For Everyone! Fishing for a Wild Career at UNL! Is it Safe? Food Safety and 4-H! How do I pick a 4-H project? The History of Head, Heart, Hands & Health - "My Hands to Larger Service"
The History of Head, Heart, Hands & Health - "My Health to Better Living"
The History of Head, Heart, Hands & Health - "My Heart to Greater Loyalty"
The History of Head, Heart, Hands & Health - "My Head to Clearer Thinking"
We Are in 4-H, Now What? How Sweet It Is - How Much Sugar is in Your Beverage? Photography – It's More than smile and say "cheese"
Are Your YOUth in Motion? In 2015, Lancaster County 4-H involved nearly: 1,017 club members, 248 independent members, 2,205 youth in afterschool & summer programs which incorporated 4-H activities, and 20,582 youth in 4-H school enrichment programs. Nearly 1,345 adults volunteered!